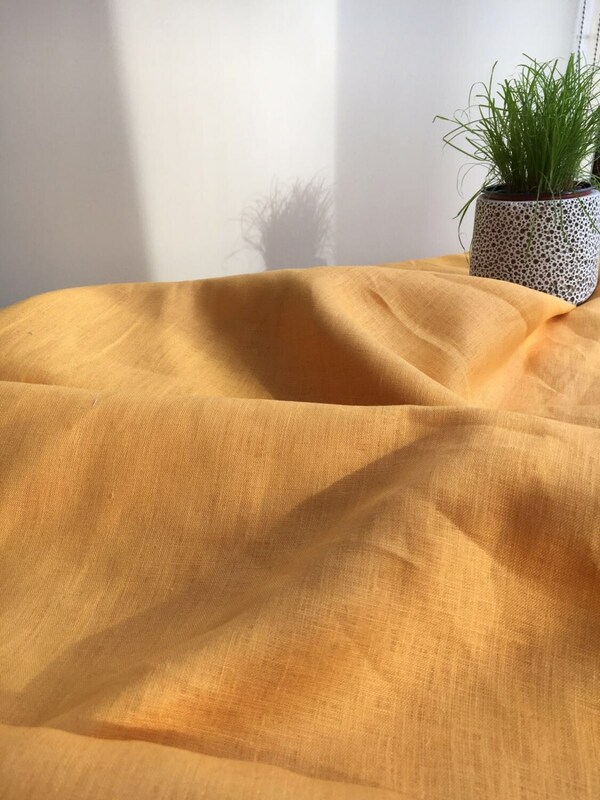 This is a joyful sun filled linen tablecloth. Inspired by spring and fresh start. 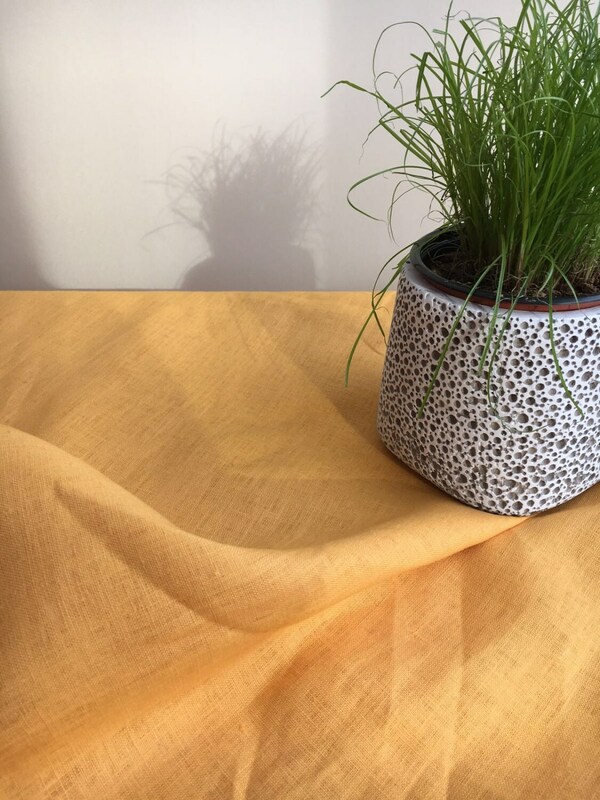 Fine quality, soft linen tablecloth. An ecological and classy choice. 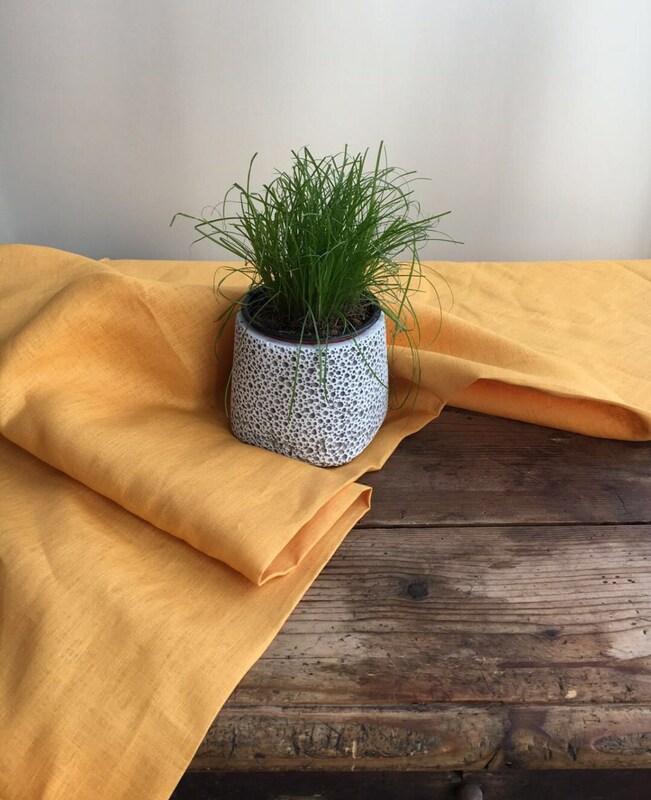 The beautiful simplicity of the tablecloth and its material makes it the perfect choice for elegant dining just as well for picnic with friends. 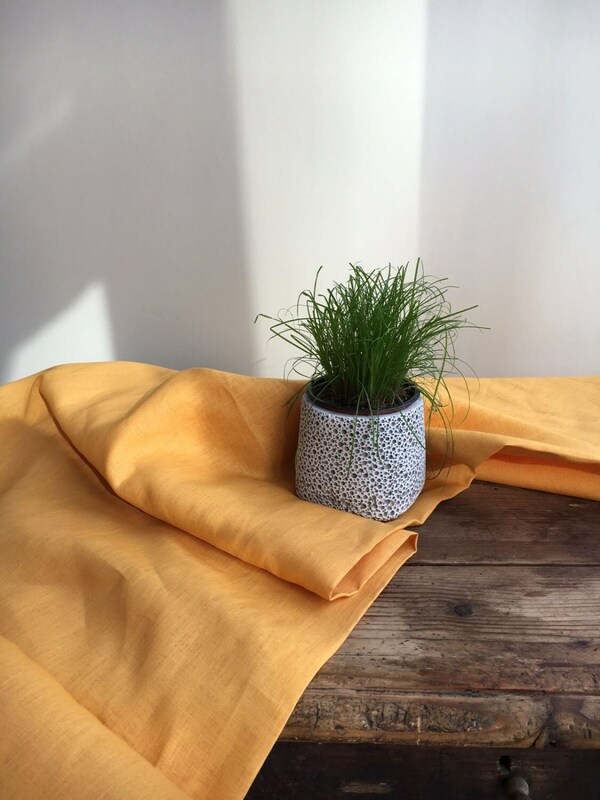 Made from high quality 100% pure European linen. The edge is finished with a simple double fold. The tablecloth has not been pre-washed and after the first wash will shrink slightly. Dimensions: various sizes available. We make also custom sizes and shapes, message us to discuss what you are looking for.